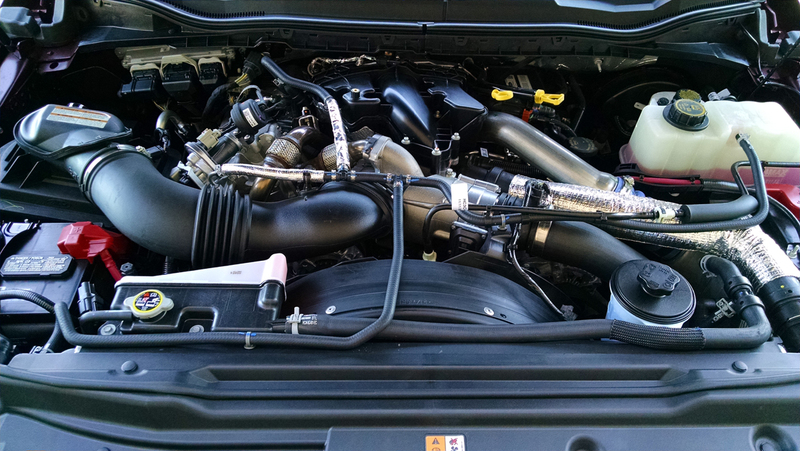 The first in-house designed and built V8 diesel engine from Ford, the 6.7-liter Power Stroke has been with us now for several years. In the 2017 F-Series Super Duty trucks it’s now in its third evolution. Your first look into the engine bay tells you this thing is complex, and it is. As large as the truck is, the engine and all of its components are an extremely tight fit. Each and every piece and part is carefully tucked in. 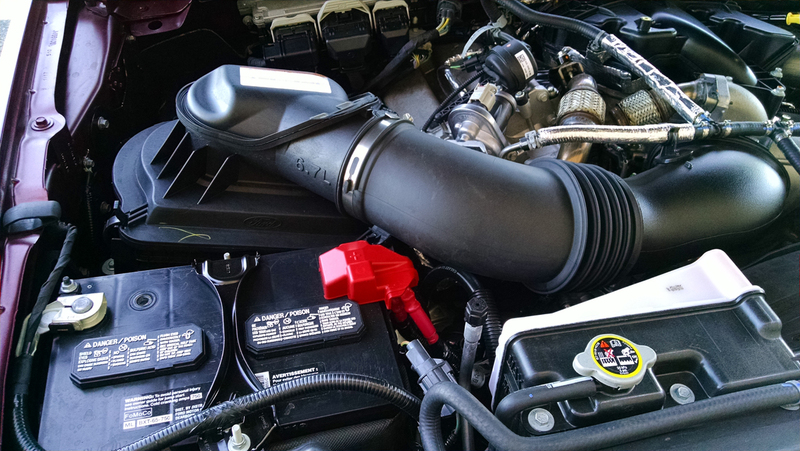 Starting with the airflow, the intake air comes in through a snorkel just above the grille, under the battery and into a large air filter box. 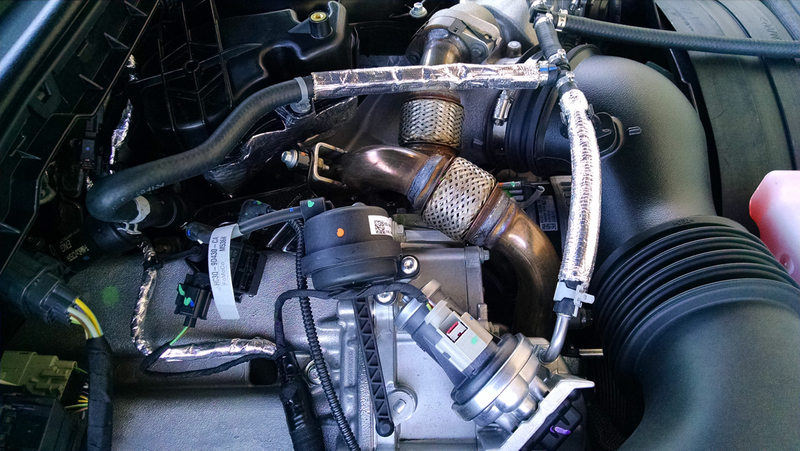 From there it heads into the pre-intake manifold and into the turbocharger buried deep in the engine’s valley. The “hot-V” design places the exhaust outlets on top of the heads, feeding into the new single sequential turbocharger mounted on top of the engine and between the heads. 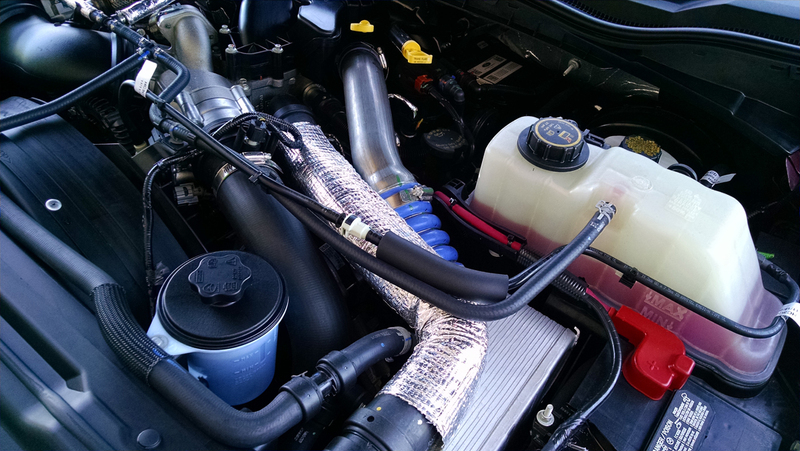 This shortens the distance and reduces ducting for less turbo lag and improved thermal efficiency. 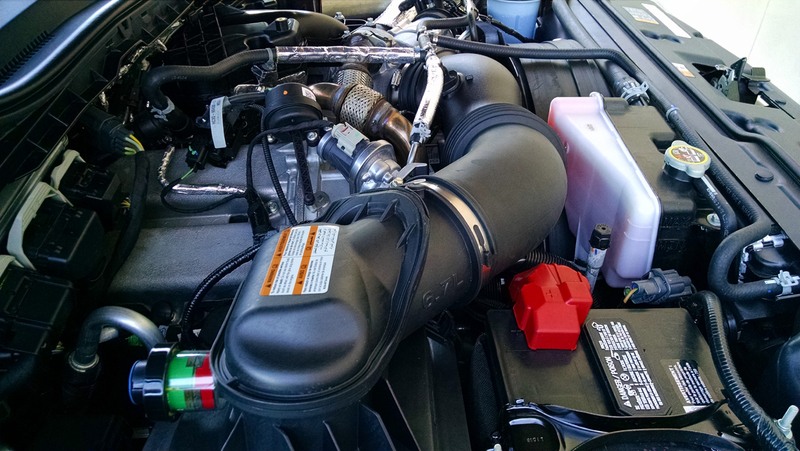 From there the intake charge heads over to an air-to-water inter-cooler mounted on the drivers side before heading back to the complex intake system of the engine. 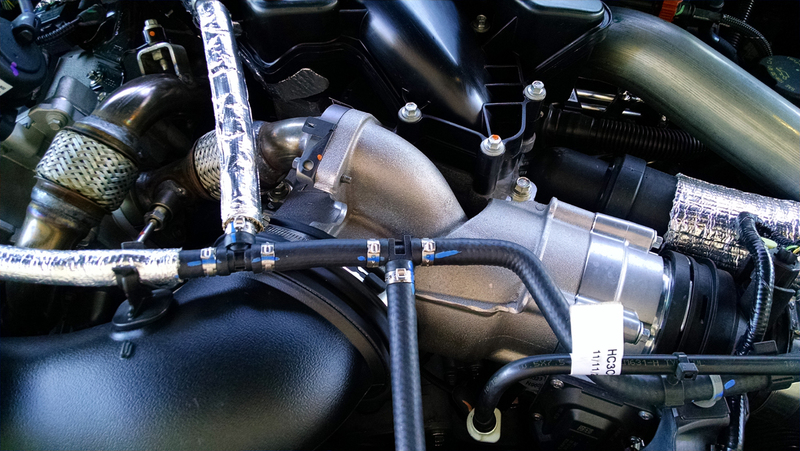 There it flows through a composite intake manifold that feeds the cylinders through intake passages cast into the top covers of the heads. 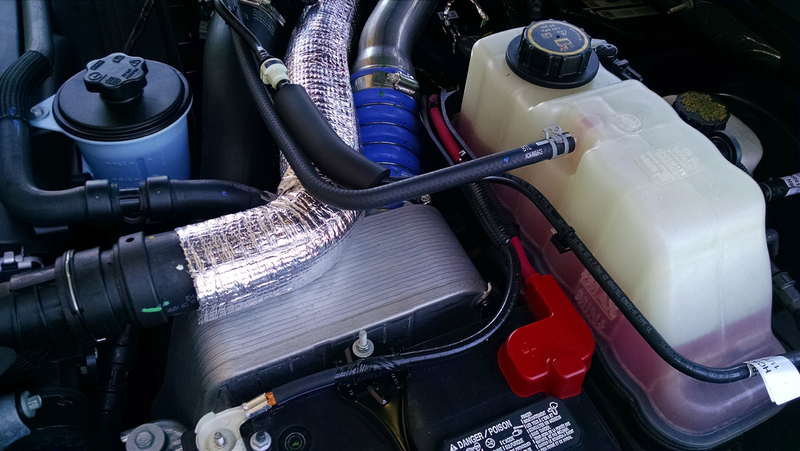 Stepping back a little, a portion of the exhaust is routed through a large cooler on the passenger side of the engine and routed back into the intake charge. 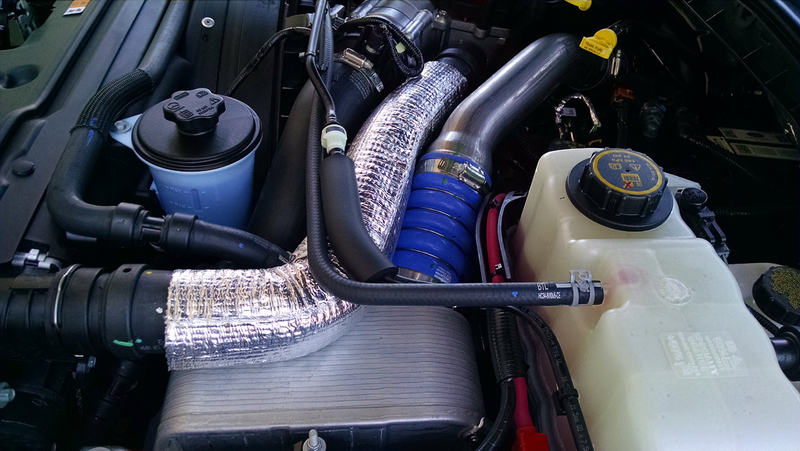 This cooled EGR system contributes to cleaner emissions and again better thermal efficiency. The engine itself features a compacted graphite iron block and aluminum heads. This makes it significantly lighter though it’s still quite heavy in the neighborhood of 1,000 pounds. Internally, pistons are cooled by oil jets. 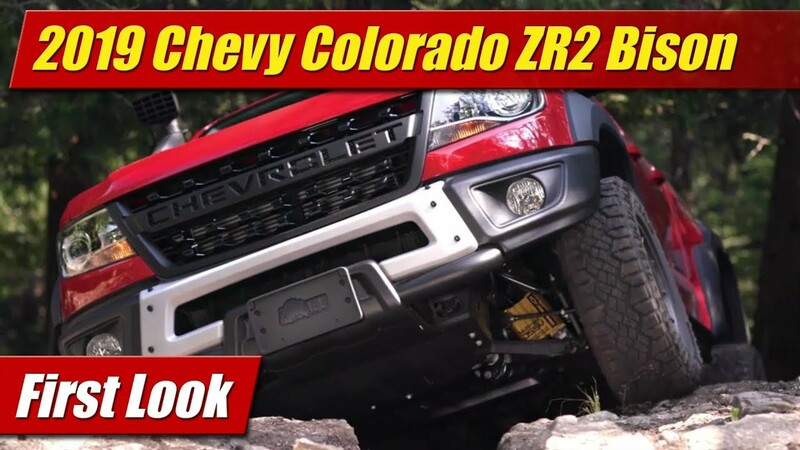 In this application, the 6.7-liter Power Stroke engine produces 440 horsepower at 2,800 rpm and 925 pound-feet of torque at 1,800 rpm. Looking around the engine bay, the major service points are easy enough to find. The main fuse block is against the passenger side firewall, the air filter box just ahead of it. A gauge is provided to give you a quick look to check the filter’s condition. There are two batteries, one on each side up front. 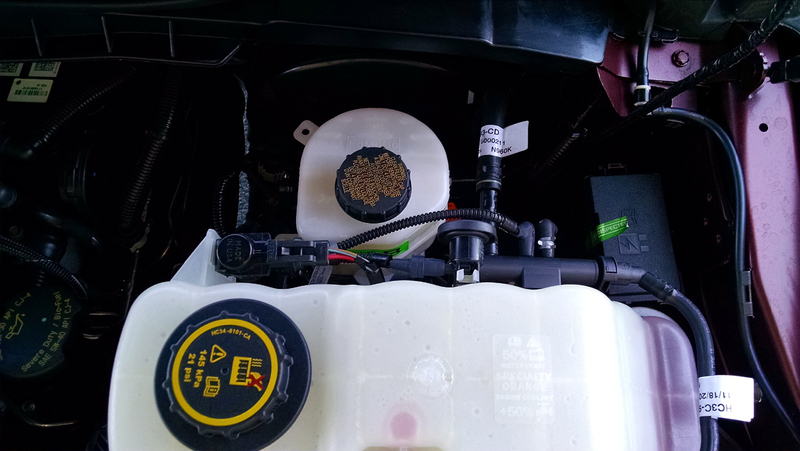 Windshield washer fluid is right up front next to the power steering reservoir. Further up close to the driver’s side firewall is the main coolant reservoir, behind that the brake fluid reservoir. 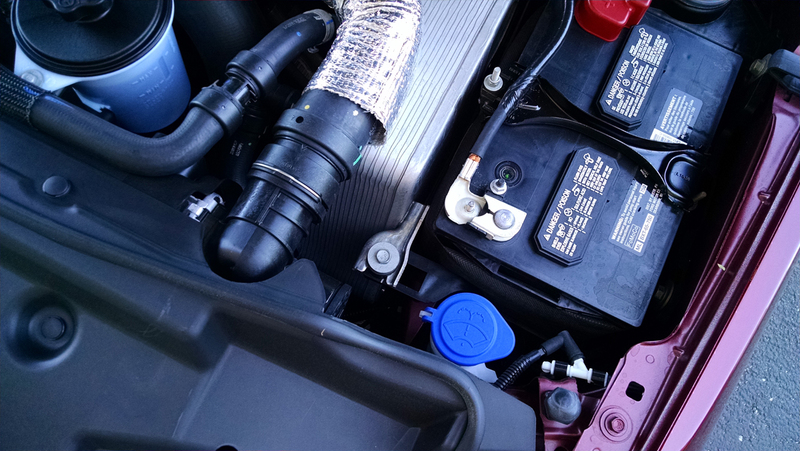 Checking engine oil and transmission fluid is done at the top and back of engine. The oil fill cap is there too, you might need a step stool. Stepping back for a more sweeping view you can also see the secondary coolant reservoir for the inter-cooling system mounted up front on the passenger side near the fan shroud.